I am fortunate to live in an amazing area. Digby is located within the UNESCO Southwest Nova Biosphere- one of only 16 areas in Canada recognized internationally as being one of the world's most important nature areas and home to many endangered plants and animals. The geology is fascinating (see my earlier post) and the scenery can be breathtaking. So a trip to this area can be the trip of a lifetime and a real learning experience for the whole family. In short, it can be something that your family will never forget. Wouldn't it be wonderful if you could have a really knowledgeable "local" take you to the best spots to maximize your visit? That's the idea behind Gael Tours. Greg Turner (no relation) is a life-long resident of the Digby area. 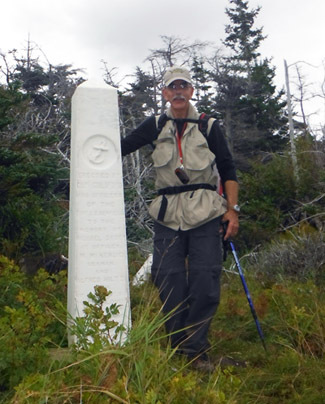 An avid hiker, he knows all the really great areas off the beaten path and with 31 years experience as an educator, he can show you things that make this area so special and provide you with lifetime memories. Greg conducts two different tours. 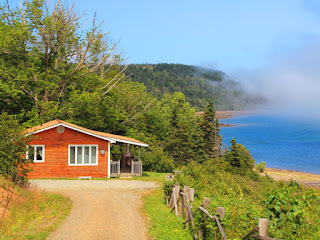 This tour will help you explore the fascinating ecosystem of Digby- amazing sea life connected with the remarkable high tides and tidal pools of the famous Bay of Fundy. 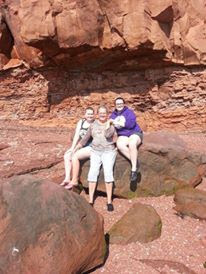 This tour is a Bay of Fundy Recommended Experience. Learn about the history of Digby and our world renowned scallop fishing fleet. In a short time, you'll feel like a native and you'll even get to sample local seafood (which is outstanding by the way). And while you're in the area, be sure to drop by our shop at the Artist's Mark on Digby Neck- right across from the Seawall cliffs and beach. We look forward to welcoming you and sharing our amazing beautiful, unique area. Great Place to Stay on the "Neck"
We are definitely into winter here on The Neck and the pace of life has slowed considerably. My new snowblower has worked great so far but time will tell. We get huge waves here when the wind blows from the south and today they are spectacular at high tide. It's truly an amazing place during a storm! Linda Graham from Centreville stopped in this morning to say hi and I thought it would be good to do a post and tell you about her operation. Graham's pioneer retreat is located in Centreville, about 5 minutes further up the neck from our shop. If you are looking for a memorable, comfortable and unique place to stay, this is it! Four cabins overlook beautiful St. Mary's Bay, providing spectacular views all year. What makes them unique is that they are totally "off the grid" and yet have electricity and all the comforts of home. How? By generators that can be started and stopped with the flick of a switch. So plan your next visit to beautiful Digby Neck and stay at Graham's pioneer retreat. You can go bird watching and whale watching, spend time on some beautiful beaches, go rock hounding (if you are nice to me I'll tell you where! ), enjoy some local seafood and a bonfire and see a spectacular starry heavens in our world famous dark night sky. 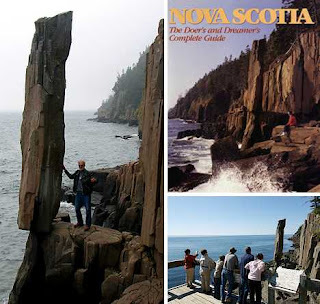 Visit the amazing Balancing Rock and try and figure out how it got there. And if you stop by The Artist's Mark, I'll tell you all about the geological history of the neck and show you how we create beautiful jewelry from our local agate. If you are staying at Graham's you'll get 10% off all your purchases in our shop. You're gonna' love Digby Neck!